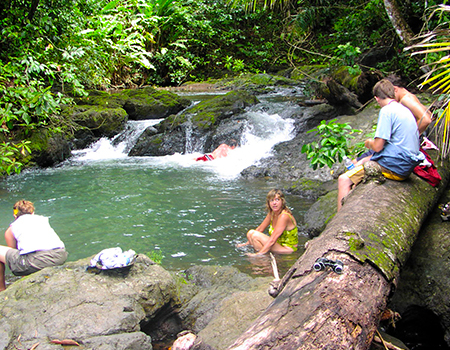 See Costa Rica as nature intended during this full day rainforest excursion. 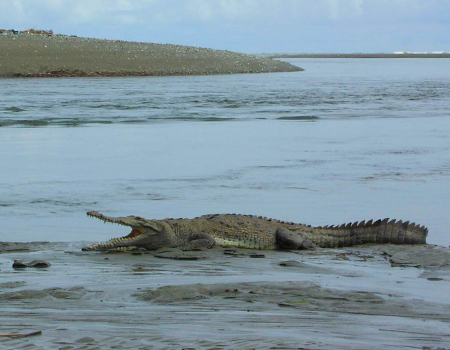 One of Costa Rica prized jewel is Corcovado National Park and the way nature intended you to see this lowland tropical rainforest, an amazing full day excursion. 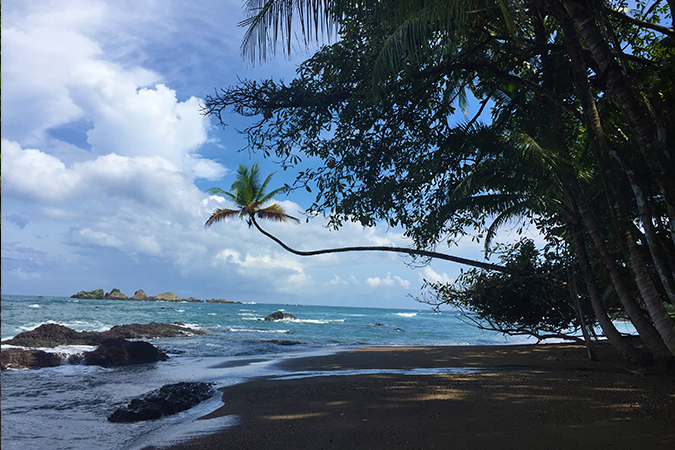 Venture through primary rainforest, explore a breathtaking waterfall and soak in all of what Corcovado National Park and its beautiful surroundings have to offer. 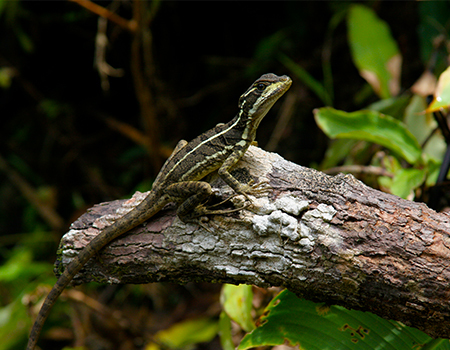 You don’t want to forget your camera for this experience as you will have the chance to see many diverse animal species, birds, reptiles, amphibians and arthropods pointed out by your Greentique Certified guide. 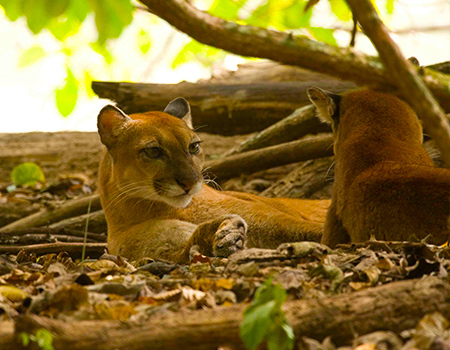 This rainforest excursion is an unparalleled opportunity to explore the dense primary rainforest adjacent to San Pedrillo, Corcovado National Park’s northernmost ranger station. 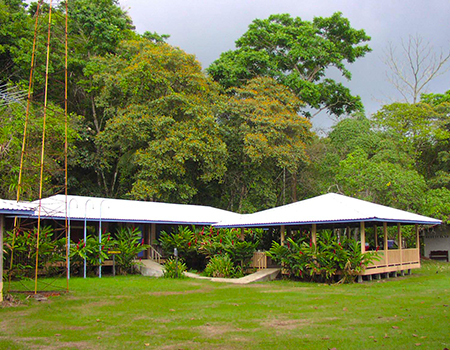 From the hotel, you’ll take a 25-minute boat ride along the west coast of the Osa. After the wet landing at the station (our boats go in stern first and drop you a few feet from the beach), you’ll begin your rainforest journey. 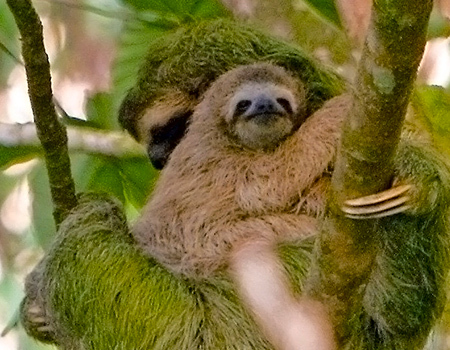 During the morning hike, your Greentique Certified guide will point out many of the diverse species along the trail You may see white-faced, spider and howler monkeys, white-lipped peccaries, scarlet macaws, coati, and countless other birds and insects. 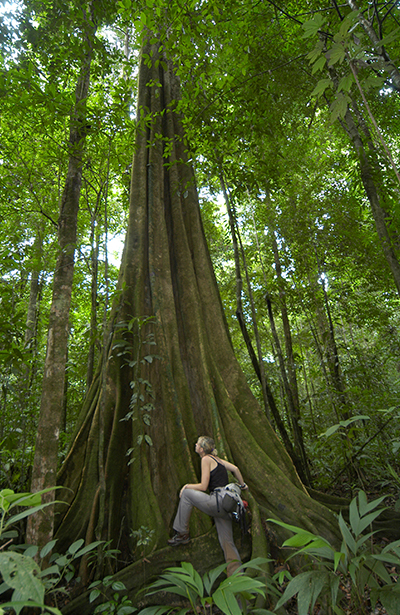 The trails are clearly marked and easy to navigate, ascending and descending through the primary rainforest. 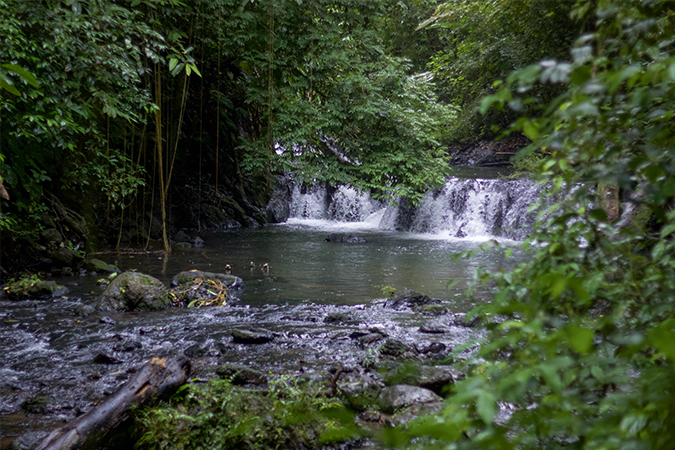 After the morning hike and a break for lunch, you will have the opportunity to hike to a beautiful waterfall. Along the way to the falls you will have another chance for your guide to point out more of the bio diverse flora and fauna. The waterfalls offer the perfect opportunity to relax, take a refreshing swim in the cool fresh water, and take some magnificent pictures of this beautiful area. After some time at the falls, you will return to the ranger station to catch the boat back to the hotel, and on the way, if you’re lucky, you may have the chance to see humpback whales or dolphins breaching and spinning in the ocean. Water bottle, camera and binoculars. During our green season we advise a light waterproof jacket. Any additional details or special requests?